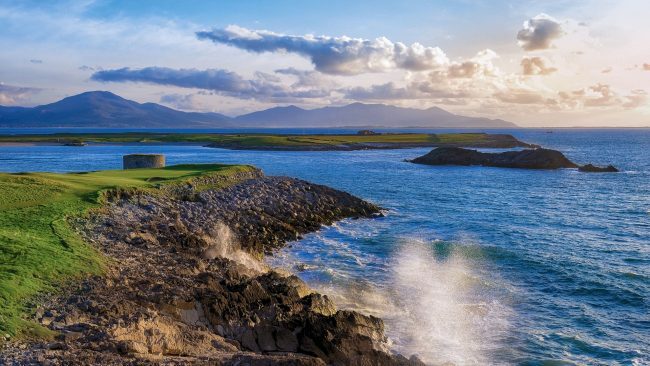 From tropical beaches to a small island in the Irish Sea, golfscape reveals 30 of the world’s most beautiful golf courses. Planning a golf vacation? 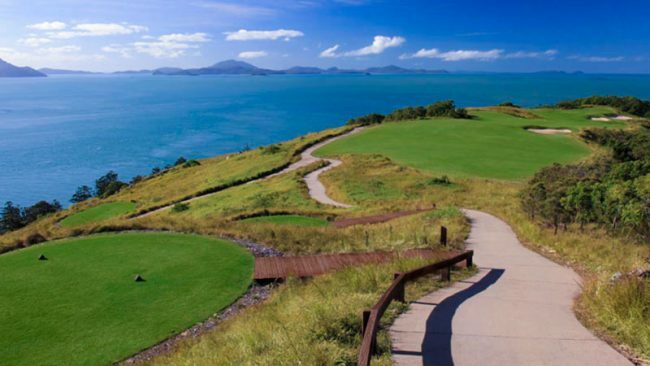 Whether you are looking to play alongside the sea, a rainforest, or an iconic city skyline, these are the 30 stand out courses that promise a magical experience. 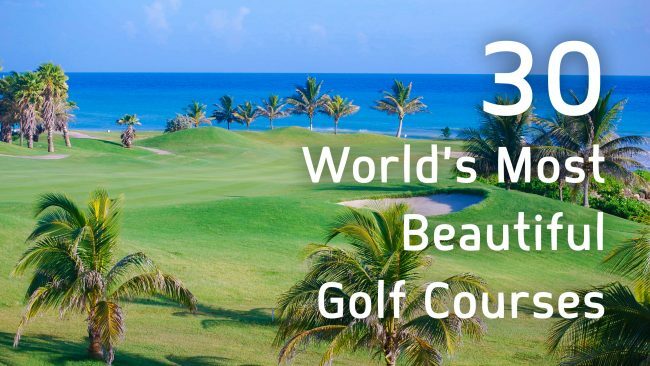 Join golfscape on the countdown to find out what we consider to be the most beautiful golf course in the world. Located only two kilometers from the city center, VF Golf Course has six beautiful holes with perfect greens, four lakes, driving range, putting green, and a training ground. 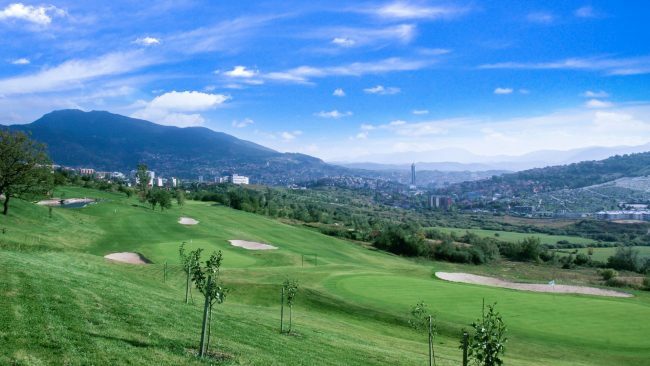 The golf course has become an inspiration for golf development in Bosnia and is one of the four golf courses in the region. Designed by renowned British golfer, Bill Logmuir, Ghala Golf Club is set snugly into a wadi with the dramatic Al Hajar mountains framing the backdrop. Ghala Golf Club is located in Oman, the hidden oasis of the Middle East, where the desert meets the shore of the Arabian Sea. The club has been the host of the Oman National Championship since its inception in the 1970s and has been privileged to host the MENA Tour for the last 4 years. 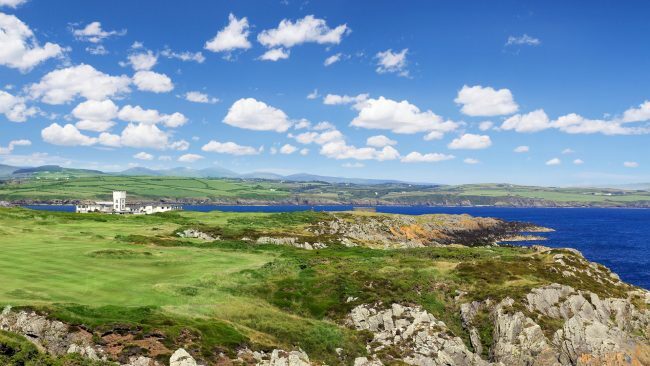 Castletown Golf Links is unique, in that they view off the Irish Sea from all tees and fairways. The coast brings its own variety of wildlife, birds, and plants. The backdrop of the golden gorse flower and the purple heather, adds to the colorful island experience. Basking sharks, seals, and dolphins are often visitors to the Castletown Bay. 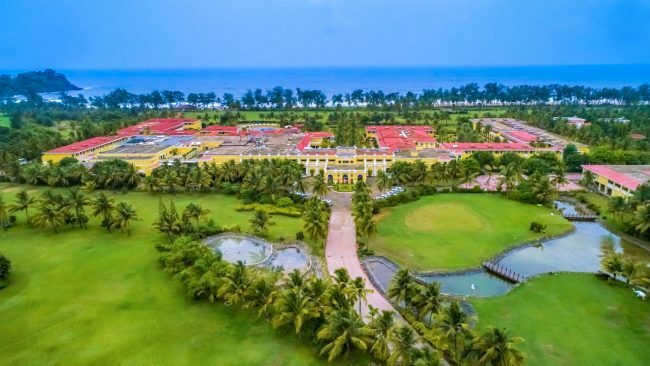 The LaLiT Golf & Spa Resort Goa is located on the Raj Baga beach in Canacona, Goa. Situated nearby the Talpone river, the resort is surrounded by the Sahyadri mountain range and offers a view of the Arabian sea. The resort has Baroque-Portuguese style architecture and landscaped gardens. Playable year round, LaLiT is a golfer’s paradise, complete with challenging sea winds that give dimension to the game of golf. 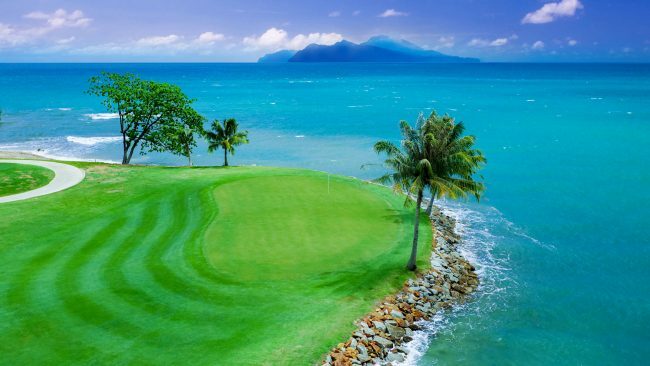 Set amongst some of the most untouched rainforests and natural beaches, The Els Club Teluk Datai has established itself as a new icon on the golf scene. 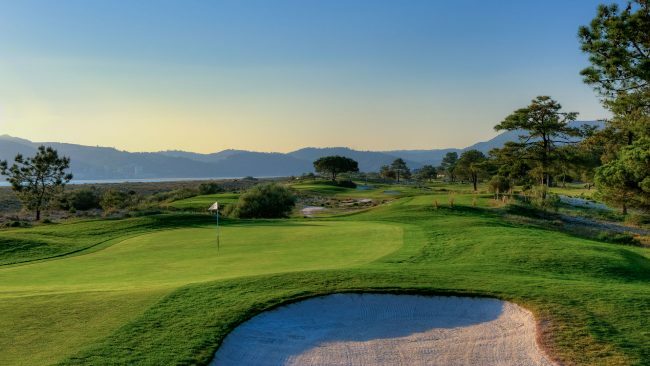 Designed by Ernie Els, The Rainforest Course is abundant in high trees, home to a constant buzz of wildlife or the tranquility of the coastline vistas — this course is mesmerizing. Sentosa is home to two courses, The Serapong and The New Tanjong. The Serapong was ranked by Golf Digest as No. 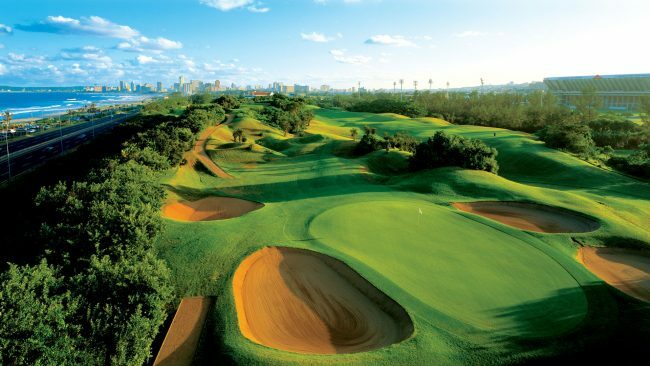 79 among the World’s 100 Greatest Golf Courses and is well-known as the host venue for the prestigious Singapore Open. 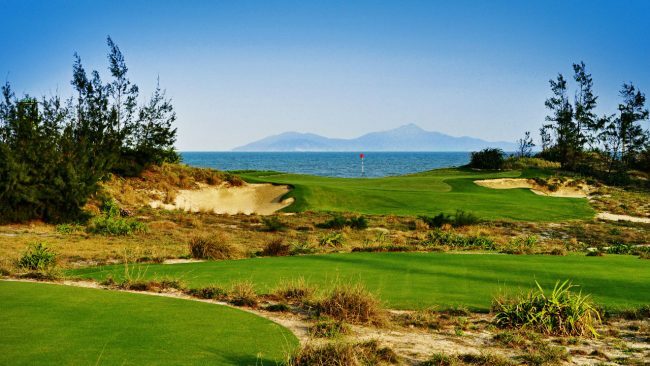 The New Tanjong course asserts a unique personality with large bunkers rarely seen in Asia. 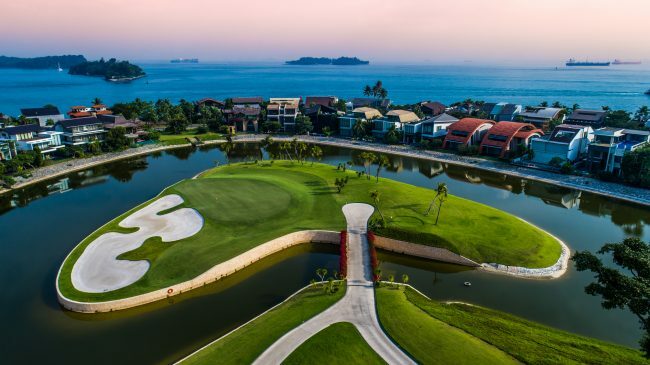 Sentosa Golf Club offers a golf challenge like no other with stunning scenery. Yas Links was always going to be different with its remarkable surroundings and high ecological significance. Yas Links brings the noble heritage of the traditional Links experience to Yas Island, a golf course that combines unparalleled visual glory with the thrill of golf’s ultimate test. 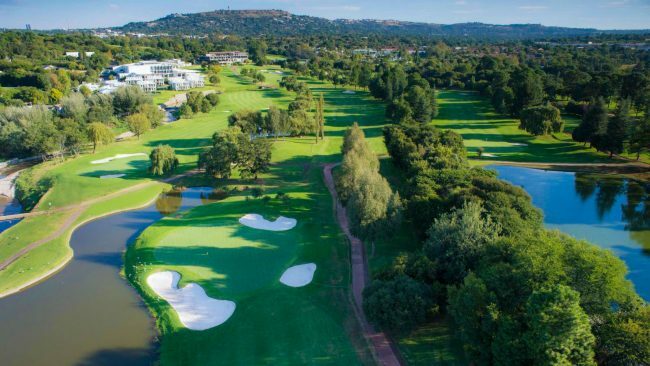 Randpark’s renowned Firethorn course hosts South African Opens and many other tournaments. The course celebrated its 3rd birthday on the 11th of March 2018. There are 7 holes, 18 new greens, and greens complexes which were molded into shape by internationally acclaimed course shaper Alex Ligowski. 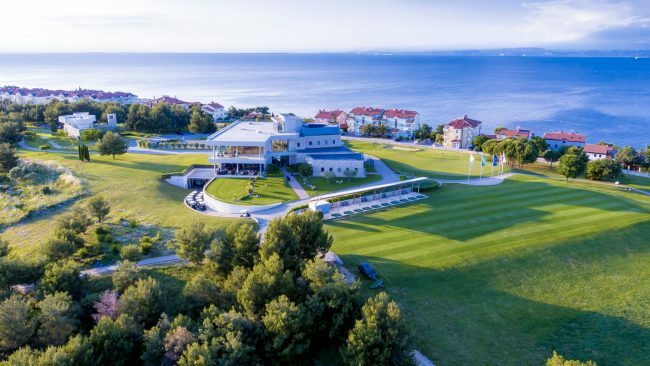 Designed by the Austrian Golf Art Landscape awardees Diethard Fahrenleitner and Barbara Eisserer, Adriatic Golf Course is located alongside the sea, complete with strategically placed bunkers and skillfully crafted greens. This golf course blends in beautifully with its surrounding landscape of rocks, natural ponds, and evergreen Mediterranean vegetation. 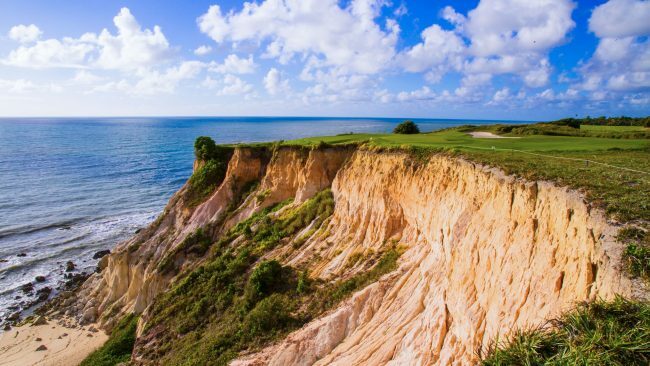 Located in Trancoso, Terravista Golf Course is one of the most famous and beautiful Brazilian courses. Terravista is usually referred to as one of the most glamorous in Latin America. The 14th hole is the signature hole of the course, for its green lies at the edge of a 50m cliff alongside the sea. From the tee box, giant sea turtles can be seen swimming in the ocean. 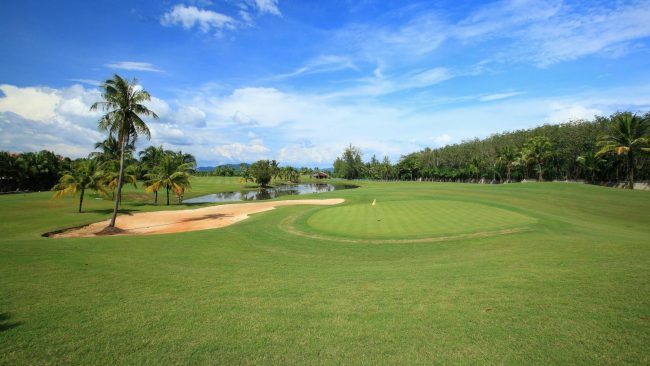 A championship world-class 18 hole golf course created by the one and only Nicklaus Design; Mission Hills Phuket Resort is a golfer’s dream situated on the paradise isle of Phuket. The resort is located amongst mangroves with phenomenal ocean views. 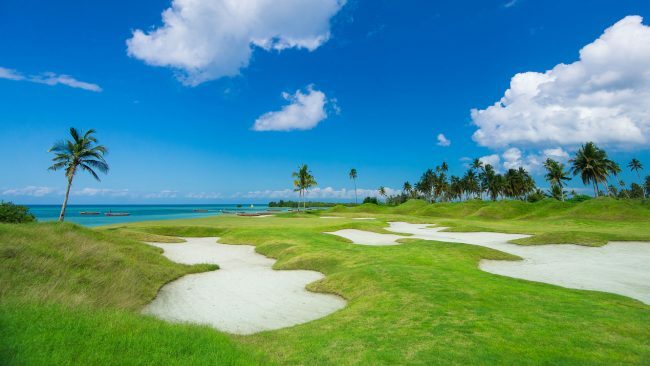 Golfers play against a picturesque backdrop featuring bunkers filled with white sand, contrasting starkly against the lush green fairways, and the turquoise Andaman Sea. Troia Golf Resort was elected in 2011 by Rolex as one of the best golf courses in the world. 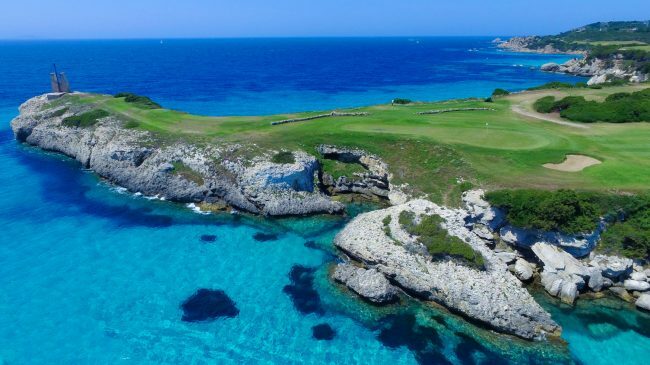 Built around the historic Roman Ruins of Troia, this golf course combines a championship 18-hole golf course with the beauty of its natural surroundings. Troia Golf Championship Course is one of the finest courses in Europe. 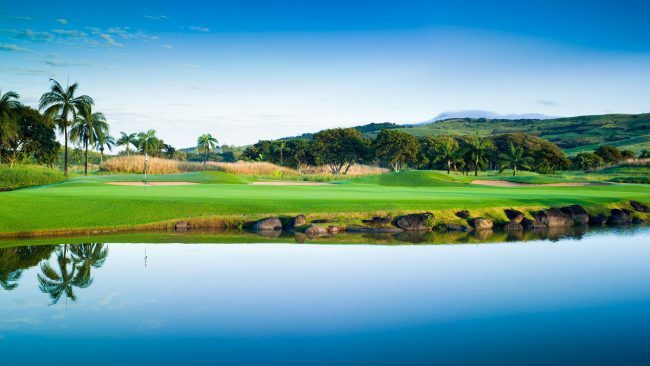 Arabella Country Estate is home to one of the top-ranked golf courses in South Africa, with pristine conditioning, tricky sand traps, and challenging water hazards on the golf course. The Arabella Golf Club is a beautiful private golf estate, surrounded by the scenic Kogelberg Mountains. 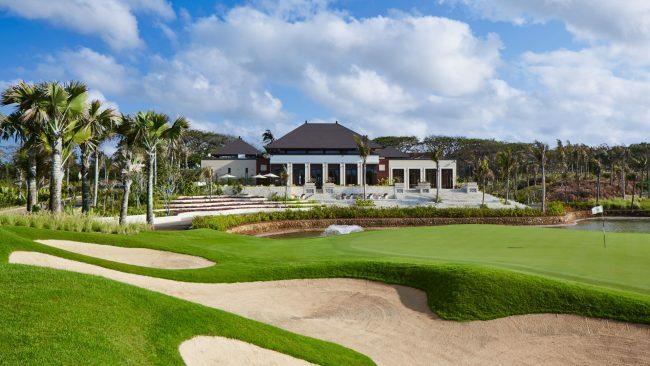 Bali National Golf Club was redesigned in 2013 by the superb Robin Nelson and Rodney Wright. Nelson incorporated Asian culture into the redesign, with hand-laid local stone walls built alongside the fairways and tee boxes. The wall arrangements almost give the perception of being in a typical rice field terrace that fills the majority of the countryside in Indonesia. The course was award ‘Best Golf Resort in Indonesia 2017’ by Golf Digest. 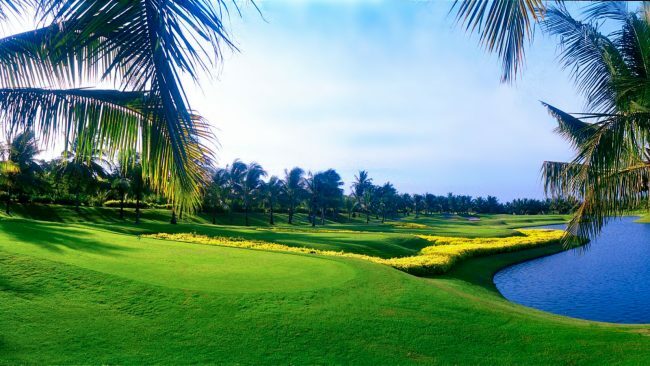 Thai Country Club is one of the most elegant golf courses in Asia, filled with flora and fauna along with an abundance of water — offering a constant challenge and hours of fun. The golf course was recently recognized by Forbes Travel Guide as one of ‘Asia’s 10 Most Elite Golf Courses’. The course is known for having the friendliest staff in Thailand. 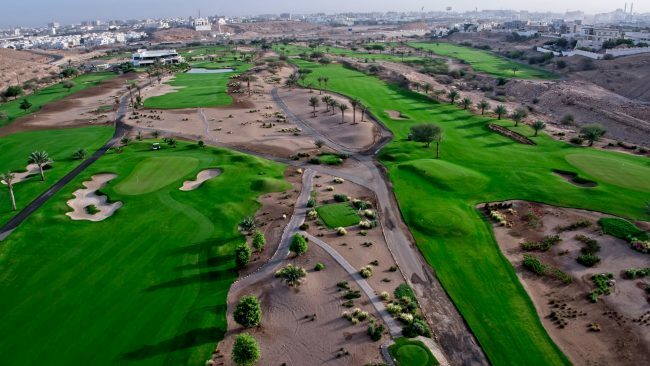 This championship course was designed by Colin Montgomerie in association with Desmond Muirhead and is one of the Middle East’s most desirable golf courses. 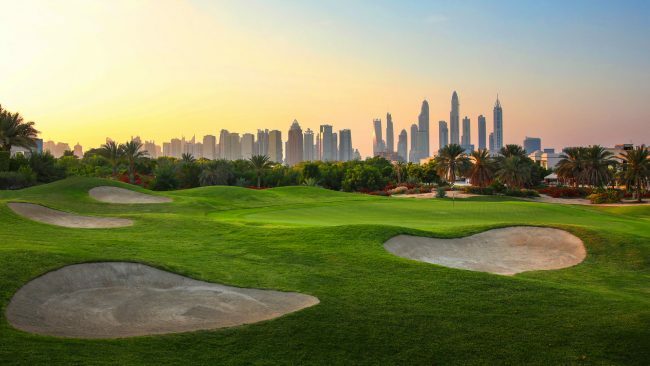 The Address Montgomerie Golf Course provides players with undulating “links land” style fairways with generous landing areas which challenge and intrigue all levels of golfers. 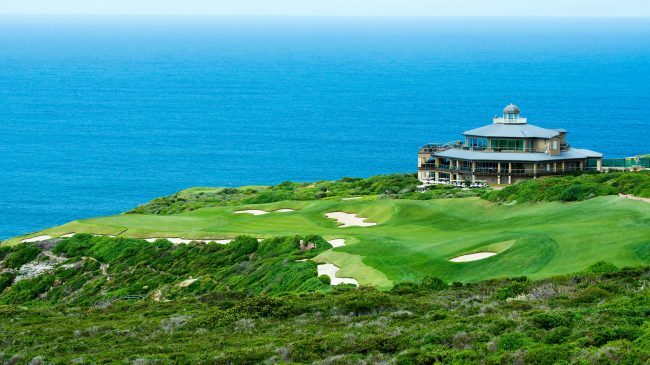 Designed by the award-winning architect Peter Matkovich, Pinnacle Point Golf Club boasts magnificent views of the ocean, cliffs, and white waters. The golf course was constructed during 2005/2006 on one of the most dramatic coast sights in the world. In both 2016 and 2017, Pinnacle Point was named South Africa’s Best Golf Course at the Annual Golf Awards. 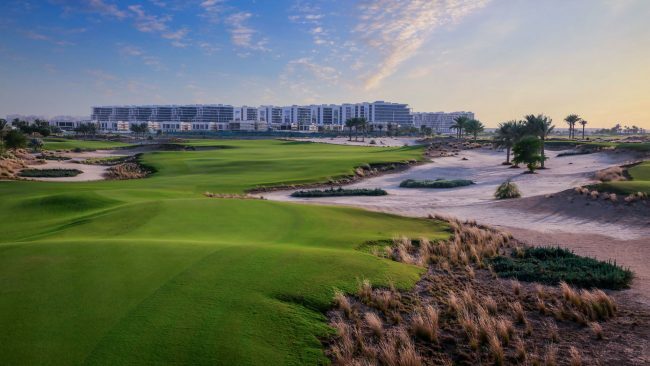 Inspired by the great parkland courses of Europe and North America, Jumeirah Golf Estates Earth Course is home to the DP World Tour Championship. 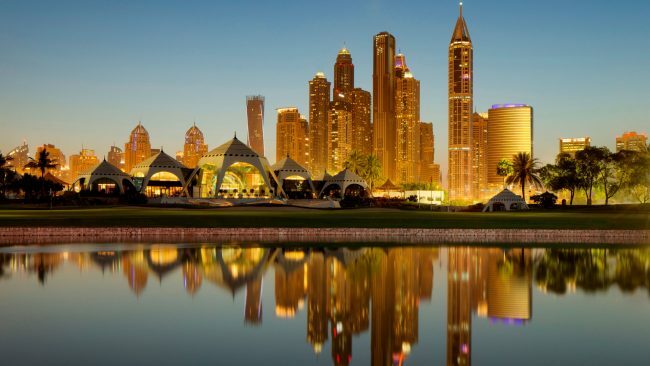 Dubai sets the scene for an incredible experience. The rolling fairways, brilliant white bunkering, and deep red ochre landscape are framed by a plethora of trees and shrubs making each hole picture perfect. Seacliff is the only golf course on the island of Zanzibar. Golfers can experience the 9-hole Matkovich course with its clubhouse, under-cover driving range, and practice greens while enjoying the natural features of the island. To top it all, two of the last holes are played along the Indian Ocean. The course has a par 71, which includes short and long par 4’s and a couple of drivable options. Welcome to Mauritius, where historical sights, diverse cultures, beautiful landscapes, and exciting activities come together to create a world-in-one-island slice of paradise. 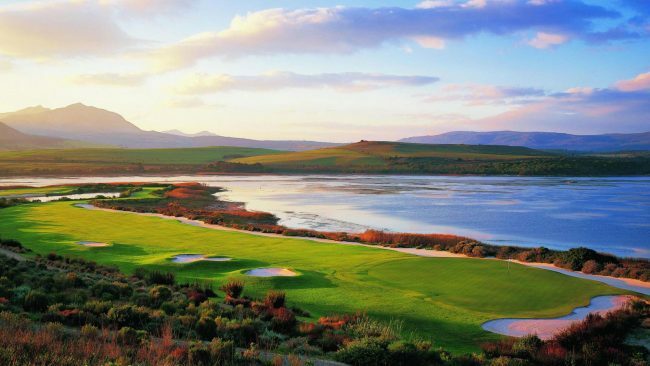 Heritage Golf Club is located between mountains and the sea, with spectacular views of the lagoon and the hills of the Black River Gorges Nature Reserve. Heritage was recently recognized as one of the top ten golf courses in Africa, according to a global news broadcaster CNN. 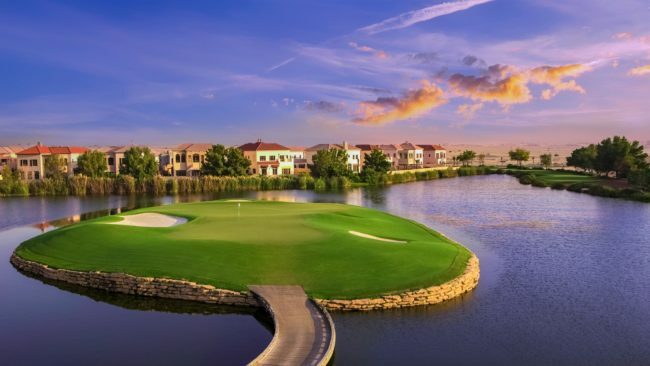 Emirates Golf Club (Majlis), the first grass course in the Middle East, takes its name from the Arabic word for ‘meeting place.’ The course features hundreds of indigenous species of flora and fauna, beautifully complemented by meandering fairways and lakes. 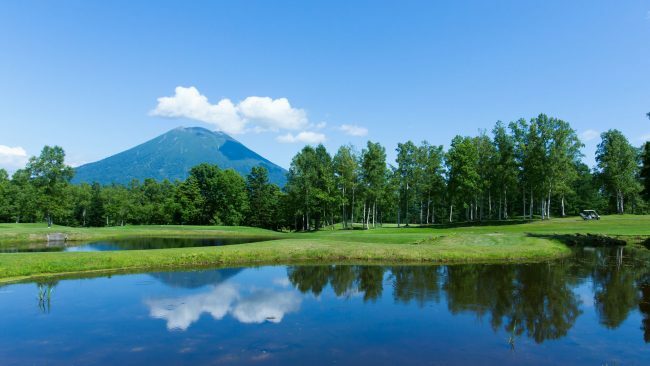 When the snowfields turn to green grass, golf takes the spotlight in Niseko Village. Carved out of a thick forest, this golf course has views of the majestic Mount Yotei and surrounding Hokkaido Mountain ranges. Golfers revel in the fresh air, a relaxed pace of play while enjoying exhilarating rounds of golf on this stunning course. 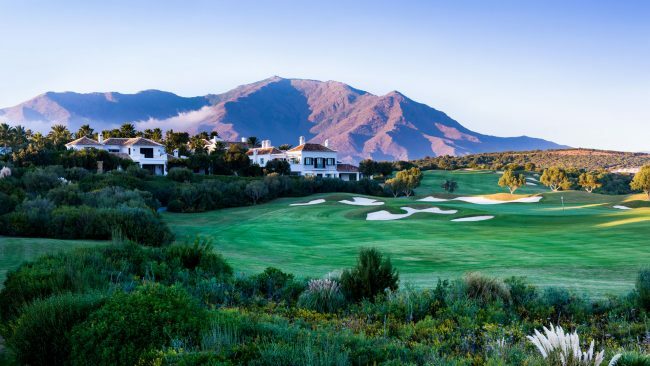 Designed by American Cabell Robinson, Finca Cortesin’s 18-hole championship course has hosted numerous high-profile tournaments including the Volvo World Match Play Championship in 2009, 2011, and 2012. 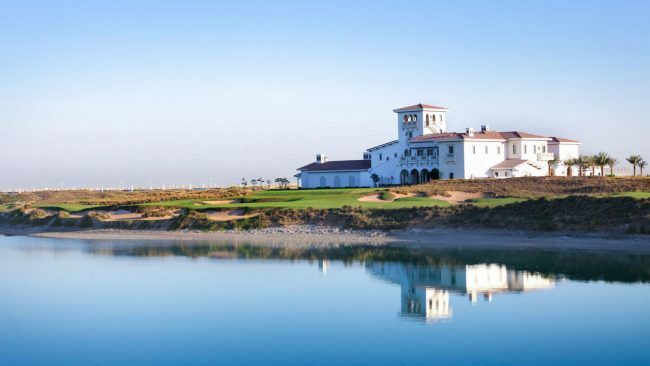 The resort became the first in Spain to feature a new, environmentally-friendly type of Bermuda grass. This world-class golf course also has outstanding practice facilities including a state-of-the-art Jack Nicklaus Golf Academy. 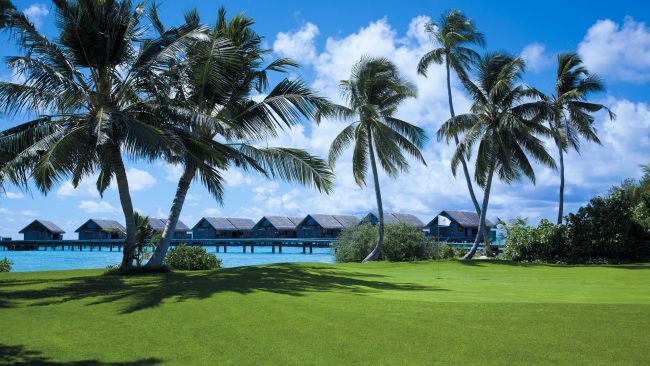 Villingili Golf Course is nestled on seven-and-a-half hectares at the southern end of Villingili Island in the Maldives. Imagine a golf course with coconut palms, exotic flora, white sandy beaches, turquoise lagoons, and the crashing swells of the Indian Ocean. Sperone Golf Club has been designed with the following motto, “this natural environment is too unique to be deserted, too dignified to be brutally developed, and too authentic to suffer from mediocrity.” The course’s designer, Robert Trent Jones Sr, sculpted Sperone to be one of the most beautiful 18 holes in the world.